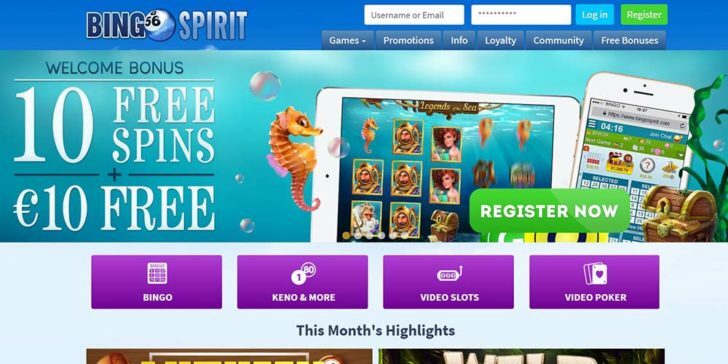 After more than a decade operating under the name BingoSky, this incredible online bingo site rebranded their name to BingoSpirit. Don’t let that worry you, as this amazing online bingo website is still offering all of the incredible internet bingo games for cash and amazing online bingo promotions that members have come to expect. BingoSpirit offers 7 different bingo rooms. Ticket prices range here can be found as low as £0.21. A few of the rooms available include Spring Bingo, Free World Bingo, and Tourney Bingo. Fans of online casino games will also be pleased to find a wide range of different options here including online blackjack, online poker, and video slots. BingoSpirit is offering one of the best online bingo welcome bonuses you’ll find today. Throughout December, new players will grab 10 bonus spins on Advent Wins along with $25 bingo bonus. On top of the December welcome bonus, new players scoop up to 550% match bonus on their first 3 deposits. 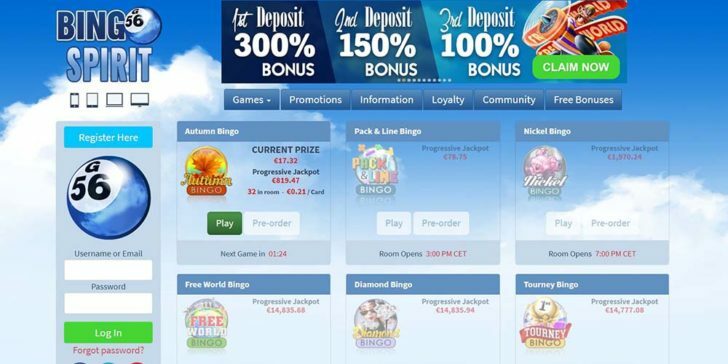 The first deposit bonus match your initial bonus 300%. You can deposit as little as $10. The more you deposit the bigger your bonus money gets. The second deposit bonus brings 150% match bonus while your 3rd deposit gives away another 100% match bonus. In other words, you always find your balance bigger than what you aim it to be. If you love playing online bingo for real money, make sure to check out BingoSpirit today. They have a huge list of available games, and provide both new and existing members with some fantastic promotions. 500% extra upon your first deposit Play! Win Free Home Appliances this Month with Bingo Sky! Play! Celebrate Women’s Day Playing Bingo at Bingo Sky Play! The Best Bingo Promotions Are Set to Launch at Bingo Sky Play! Play the $25,000 Saturday Big Bingo Event at Bingo Sky! Play! Celebrate with the $13K United Nations Day Bingo Play! 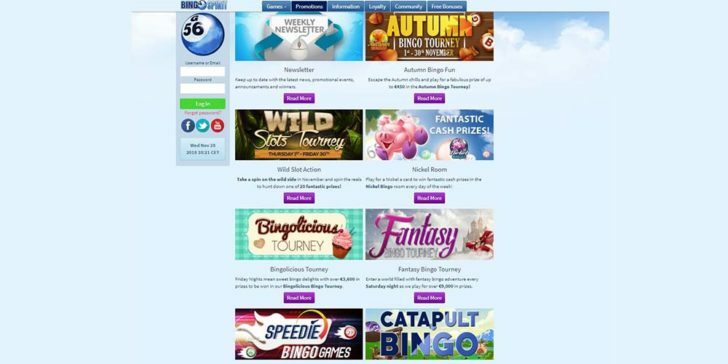 Win An Exclusive $25 Free Thanks To Bingo Sky Play! Be of Good Cheer, Bingo Sky’s Christmas Bingo Tourney is Here Play! Win Free Home Appliances this Month with Bingo Sky!